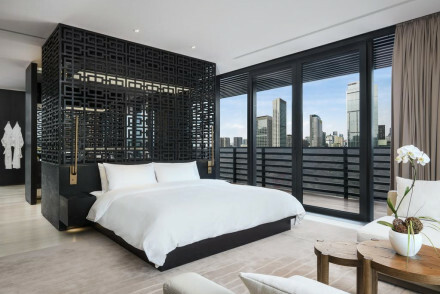 A stylish hotel in booming Chengdu. Clever design transforms old bones into a swish modern hotel, with a choice of beautiful bars and restaurants on site. City Style - A place where culture and high-end luxury meet in perfect unison. Definitely the spot to be in Chengdu. Local markets - Wander through Jinli Street market and search for locally made handicrafts. Sights nearby - Visit Tianfu Square at night time which looks spectacular all lit up.